We have potato plants in the raised bed! These are “Yukon Gold” seed potatoes. My dad built the 3×5 bed in a way that allows me to fit it together like a puzzle, eliminating the need for help when putting it together or taking it apart for harvest. These have been mounded several times already. (That’s where you bury them except the top set of leaves to produce more potatoes!) I will mound them up more today. The soil is mostly peat moss with top soil. 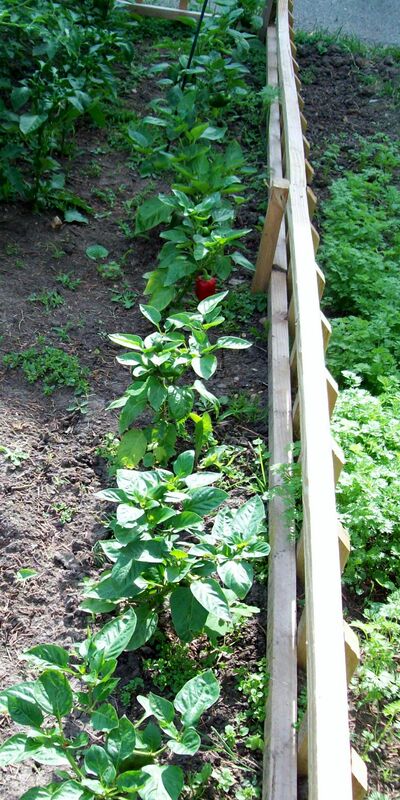 Tip: Potatoes shold not be planted near other crops because of risk of disease to other plants. This will be the permanant spot for potatoes, and I will just heat kill any problems in the soil and ammend it each year. 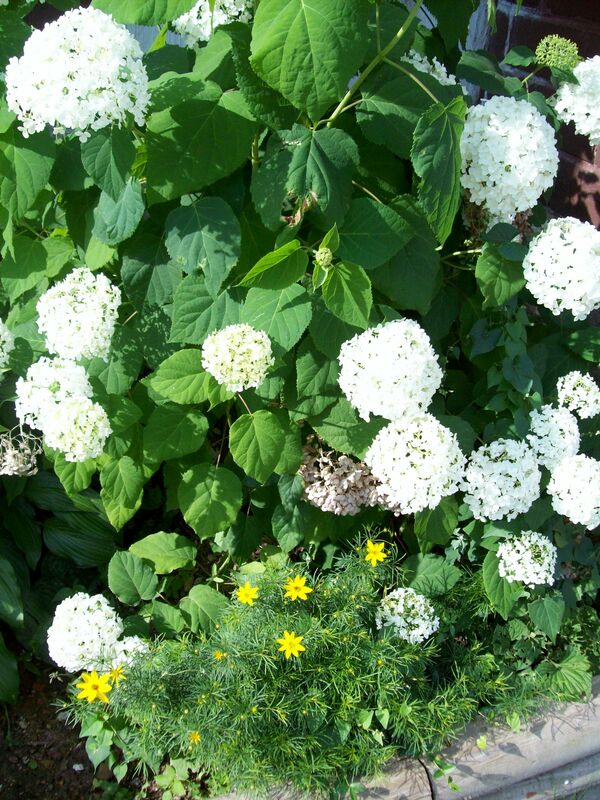 The “Snowball Hydrangea” is blooming like crazy! It’s doing very well in full, damp shade. Here are the peppers and carrots. The peppers are an organic variety called “California Wonder.” I also have some that I started from an organic grocery store pepper. The carrots are organic and are coming up nicely. They really should be thinned out! The Christmas cactus is starting to bloom. It is in a part sun/part shade area. This is from a parent plant that I got from my father in law. 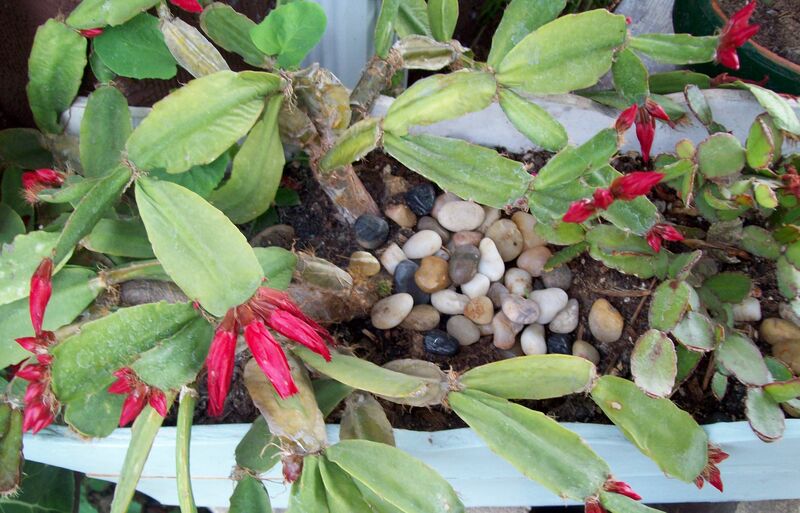 Tip: Christmas cactus need lots of water. Some people assume because it has cactus in its name that it doesn’t need much water. It is a tropical plant that must have plenty of water! 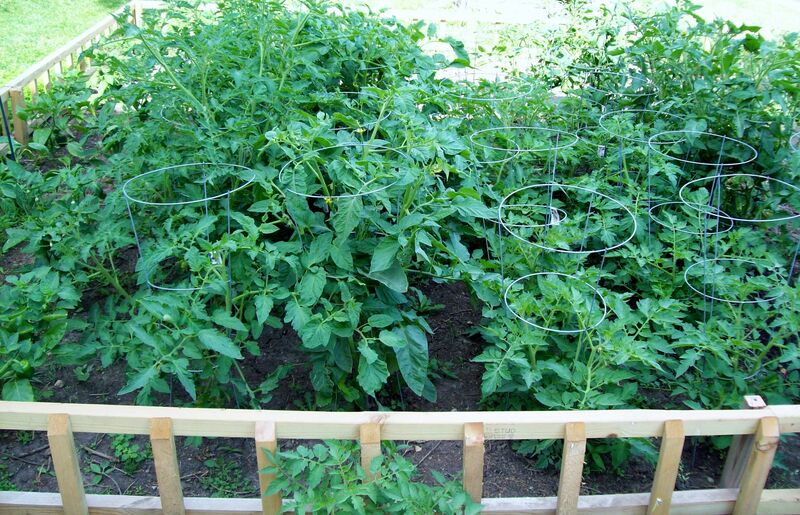 It’s a tomato jungle! We planted organic “Brandywine”, “Chadwick Cherry”, and “Beefsteak.” We also have about 50 plants growing randomly that sprouted from rotten fruit left on the ground last fall! I plan on giving many of these away. It must have been the mild winter! 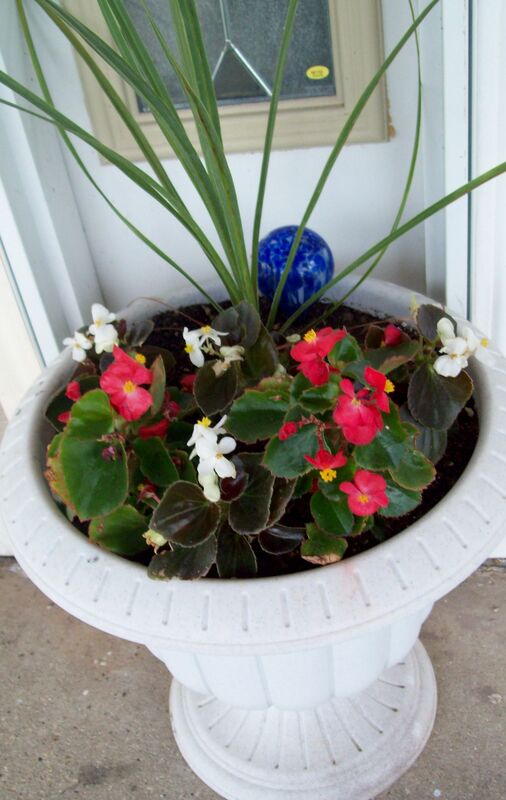 Here we have some potted annual Begonias. They get little care from me and seem very drought tolerant! 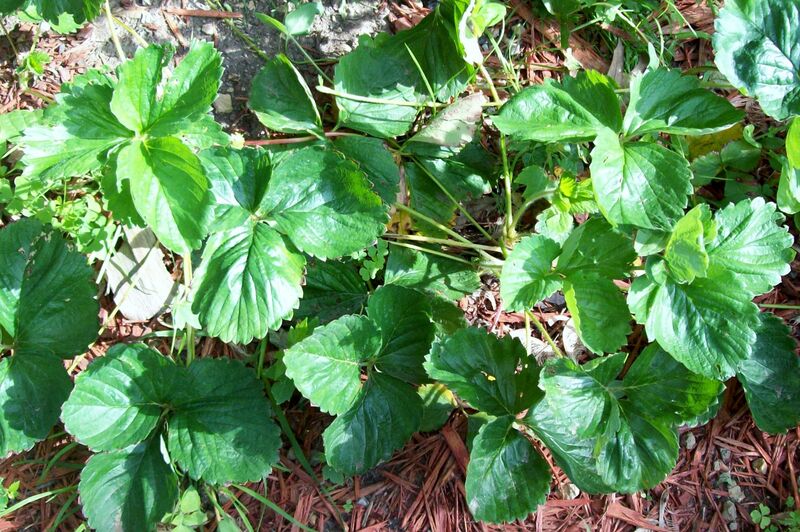 I’m going to try and take some cuttings so I can scatter them throughout the yard. Blueberries! 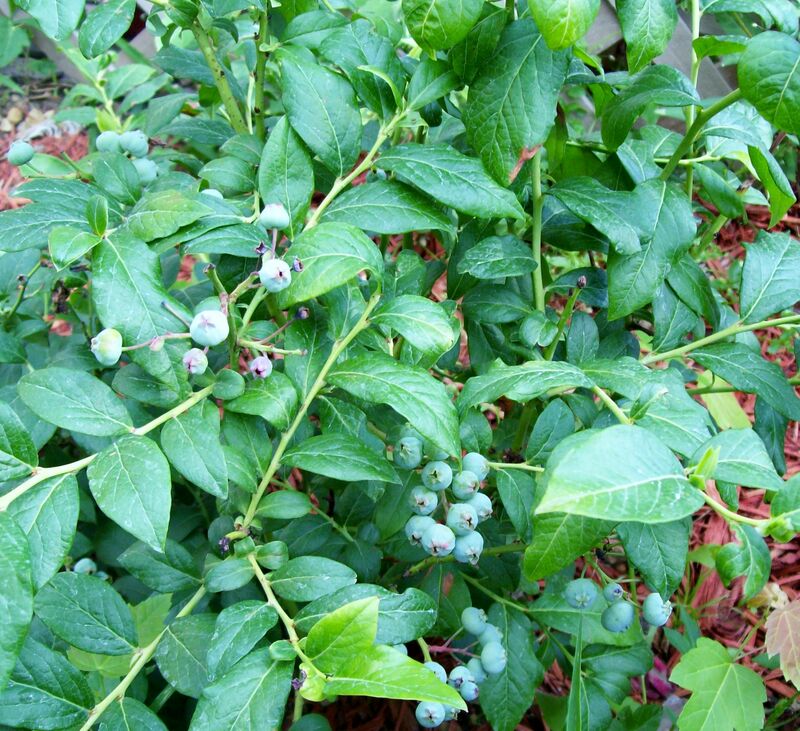 This variety is called “Jersey.” Tip: Blueberries need acidic soil. We used coffee grounds and it seems to be a happy plant! We planted this Thornless Blackberry this year. It is circled by “Sweet Alyssum” Sweet Alyssum is an easy to grow annual. I’m hoping it will fill the area in nicely and if I’m lucky, self seed for next year! 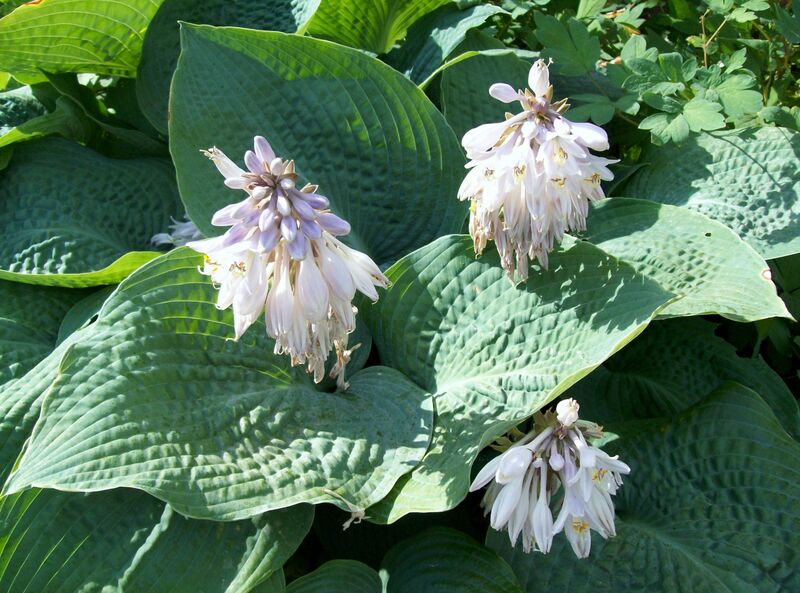 This is an enormous variety of hosta known as “Blue Angel” I believe. You can’t tell by looking at the picture, but the leaves have a bluish/green seaside color to them. It doesn’t mind a little morning sun! The strawberries are not producing the way I had hoped. It also seems that every time it tried, a pregnant robin comes and steals the fruit. Tip: Plant two varieties for better pollination! I had a little room so why not? 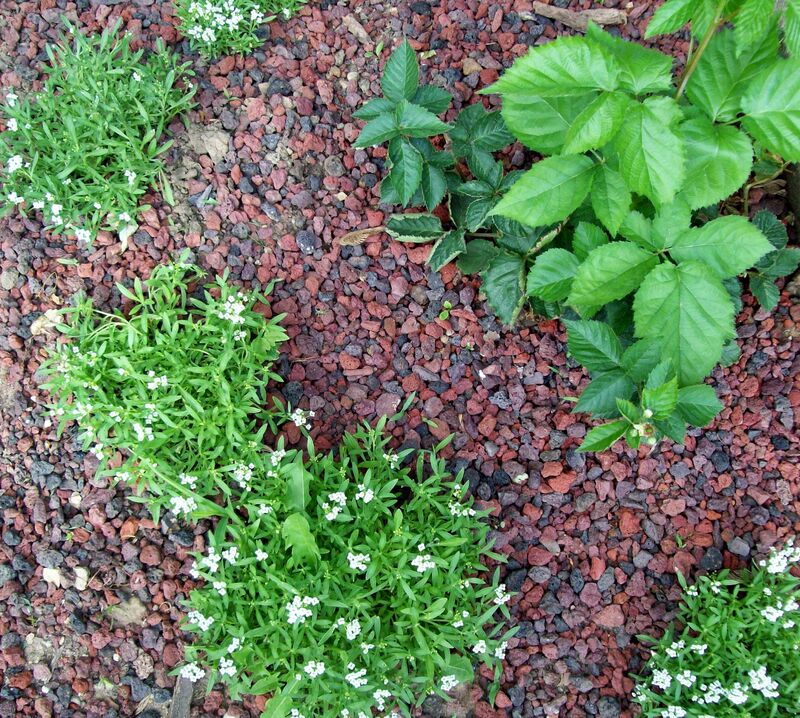 Annual common “Inpatiens” along the border with perennial “Sedum” ground cover between the pavers. It doesn’t seems to mind being stepped on now that it is established. It’s very drought tolerant too! 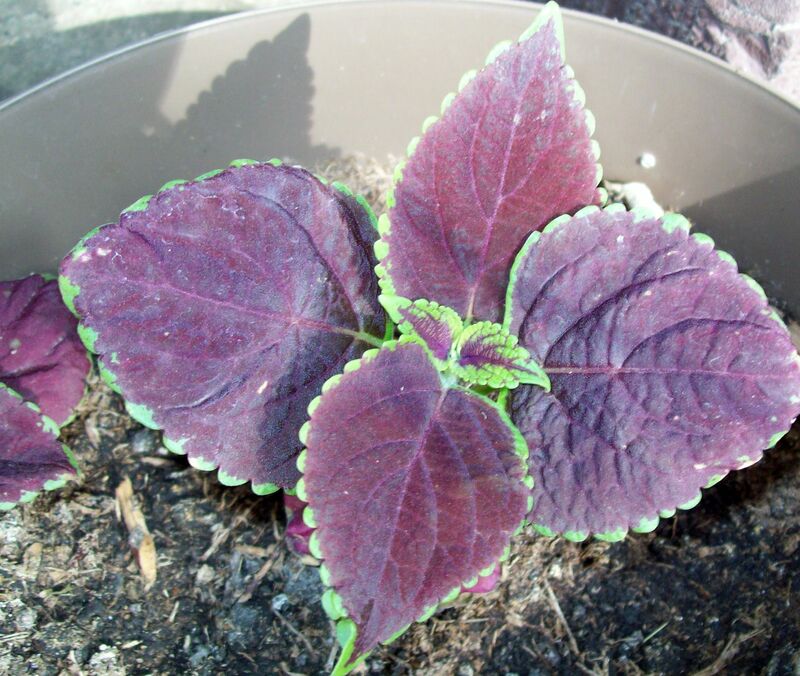 “Coleus” that I started from seed. Tip: It’s much easier and faster to take a cutting from a friend than to start this from seed! Cuttings will be taken from this plant for years to come! These are my leftovers. 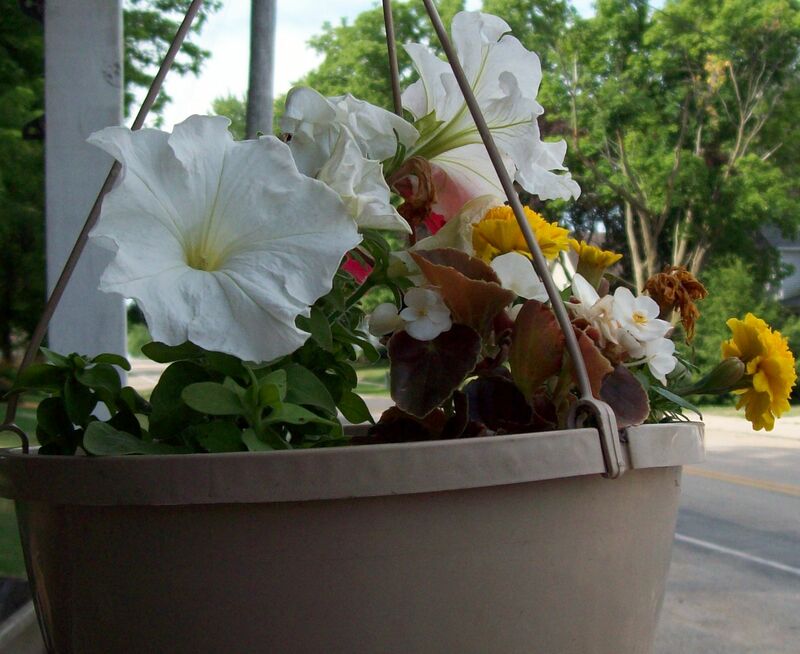 I had an odd variety of plants leftover from planting in other areas and ended up with four unusal hanging baskets for my front porch. Begonias, aPetunias, Marigolds, and Nasturtium. I’m hoping they will fill-out and look pretty eventually! Well, that’s enough for now…Thanks for taking a tour aound the garden! Posted by Createityourself on June 15, 2012 in Plants and Gardening and tagged annuals, blackberries, blueberries, cauliflower, flowers, garden, gardening, hosta, perennials, planting, Plants, potatoes, raised bed, strawberries. Ah, so rubberbands in the answer to keeping the leaves round the cauliflowers! 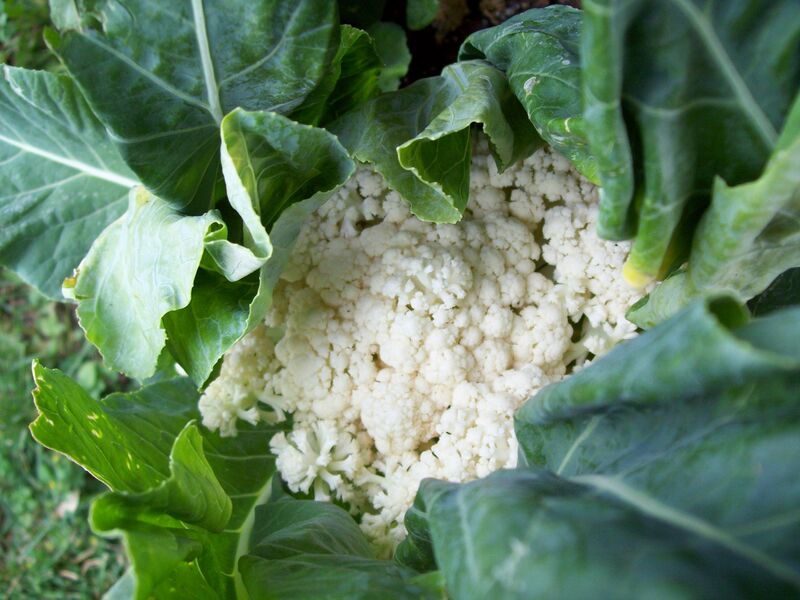 Perhaps one of the reasons why a number of my vegetables are doing none too well is because of the potatoes which have been sprouting up all over my garden…How do you heat-treat the soil? Basically, you heat treat by wetting the area and covering with a large plastic tarp. The sun will do the rest in killing anything wicked in the soil. BUT…it also kills the good stuff so you have to re-introduce good nutrients to the soil before you use it again. Thanks for the inquiry! Thanks for your reply. I do something similar to kill the weeds where they are too rampant to dig out. Never thought it would deplete the soil of nutrients, so I had better do something about that! I didn’t know about mounding potatoes. I am growing potatoes in pots. I used 2″ of alfalfa over the soil when I planted, and they are now a foot tall. 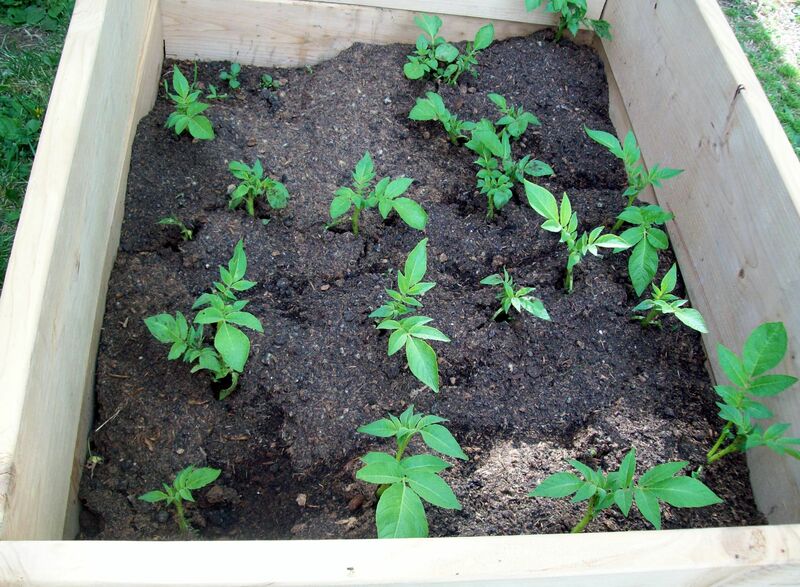 Should I add some peat moss around the plants to produce more potoatoes? I just bought some at the garden store. – Thanks! The more soil or peat moss the better! I would bury them until there is no more room at the top of the pot. Thanks for the tip on the Christmas cactus! Love the hydrangeas too, great post.